Woke up this morning with a list of things to remember as long as your arm next to the bed, because this morning we have to start our trip up north for the CLARITY OPEN DAY in North Yorkshire. 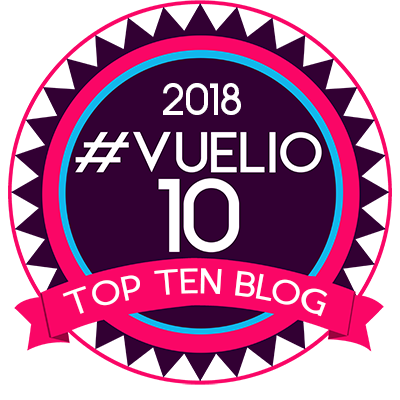 And at the top of the list was BLOG. The girl’s got her priorities right! 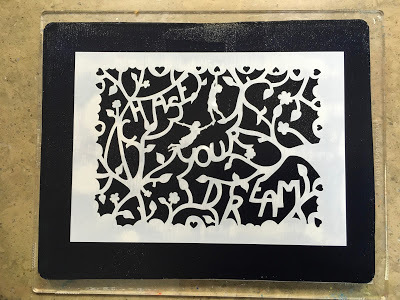 How would one of our Whimsy stencils which our Annie designed look in black on one of the new Designer Papers? 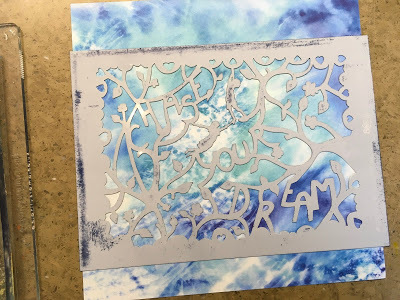 And how do you get the plastic part of the stencil to be the line art? The black? This should read Chase your Tail !!! Spread the Golden Open Payne’s Grey paint over the back of the stencil. 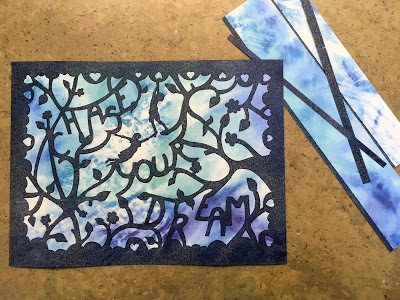 You can use a brayer and roll it directly onto the stencil. 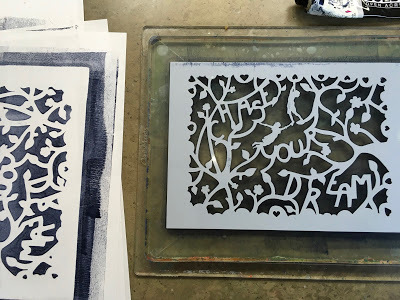 Use copy paper underneath the stencil. 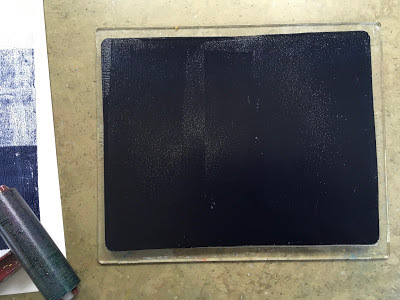 Use the Gel Press plate, the 8″x10″ as a paint transfer plate if you prefer. Lay the stencil down on the wet paint face up. 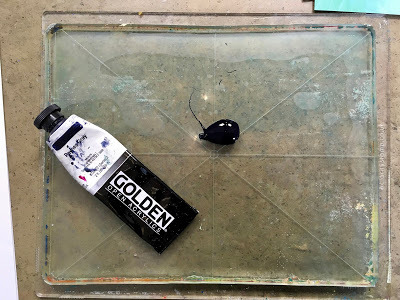 This will help you push the stencil into the paint. 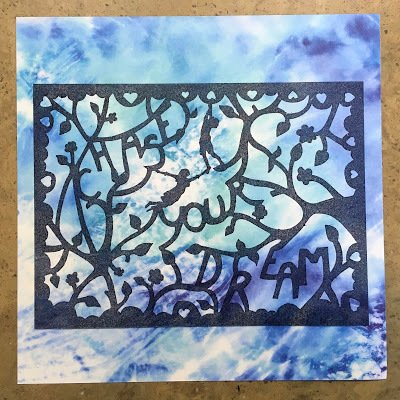 Peel the stencil off the Gel press plate and transfer to a sheet of our Designer Paper. Since Thursday’s blog is always blue, I went with this one from the new Indian Summer Set. Now to get the pressure you need to transfer the paint beautifully, you need a mangle. I have an E-Bosser. 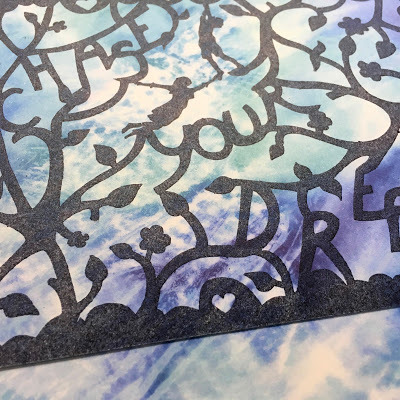 Any one of the many die cutting machines will do the job. You just need a rubber shim in the sandwich. 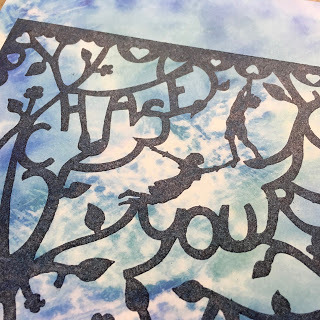 If you flip the stencil and the paper as I did, you will get the embossing the right way round too. Basically, you’ve got a 50/50 chance. creating continuity in the background. What I woke up visualizing is just what I got. Love it when it works, don’t you? 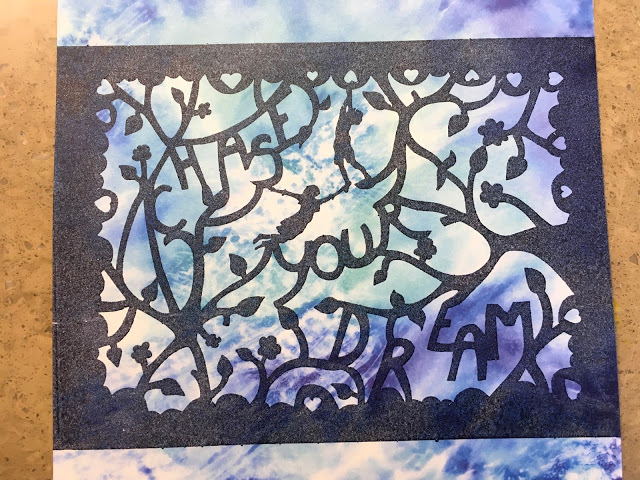 just spread the paint over the back of the stencil with the brayer. I love this stencil set. They are all available individually. But what a delightful set Annie has designed. Anyway, I must go now, I really must. But there are loads of the Clarity team from the Northern Quarter pitching in to help and play, so it will be a delight to hang out with them all for a couple of days. Join us if you can, on Saturday, at Tennants Auction House in Leyburn, North Yorkshire. It is a fabulous venue. Another thing on my list. Wow, this place looks posh!! They might not let me in, haha. Put the pearls on, that'll do it. Love this technique, will add it to my to do list!! Safe journey to Leyburn & have a great day on Saturday. Hope everyone going to Leyburn has a great time. I hope the journey is OK. At least you shouldn't be diverted off through the depths of Yorkshire this year as the A1 upgrade opens tomorrow as far as Catterick. 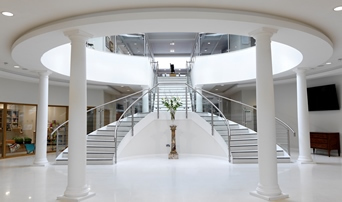 Anyone who hasn't been to Tennants before – you're in for a treat it's a lovely place, we like to pop in for lunch or coffee and view forthcoming sale lots out of curiosity. Barbara only had one room last year and it was very good however with two rooms and make and takes etc it will be brilliant this year. So many from the blog seem to be coming and it would be great to get everyone together like last year so we could all put faces to names. Looking forward to Leyburn, heading to mums in Manchester tomorrow and then up to Leyburn for the open day. We both look forward to it each year!